It’s getting colder outside and while I’m not abandoning my love of all things pumpkin, I’m also embracing all things apple and molasses. 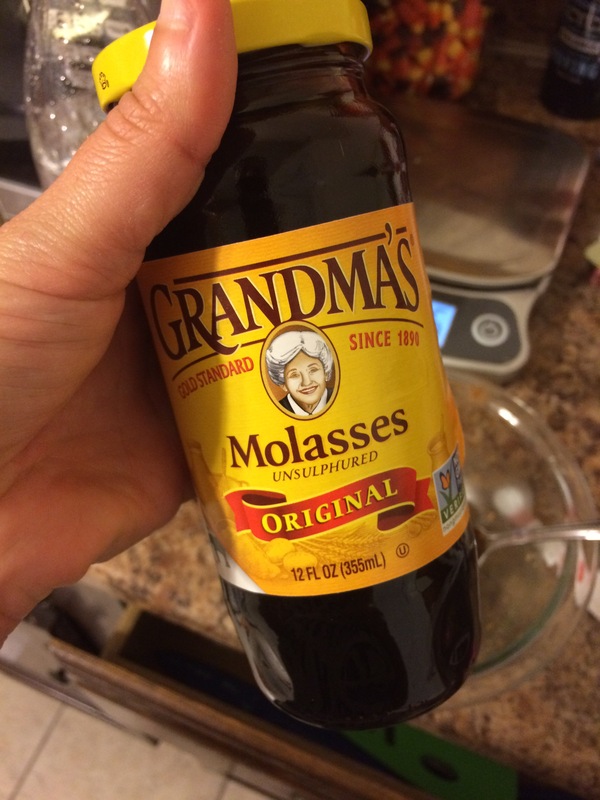 I finally took the plunge and bought a jar of molasses because I acknowledge that gingerbread people will be made this fall and winter and it would eventually be needed. 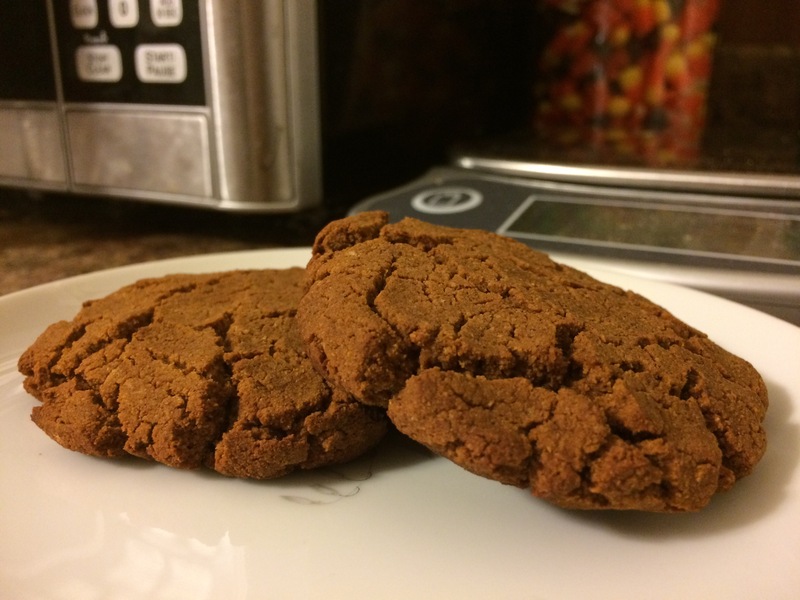 This also brought the opportunity to make the next cookie from Sarah Lynn Fitness’s Healthy Cookie Cookbook: Molasses Ginger cookies. 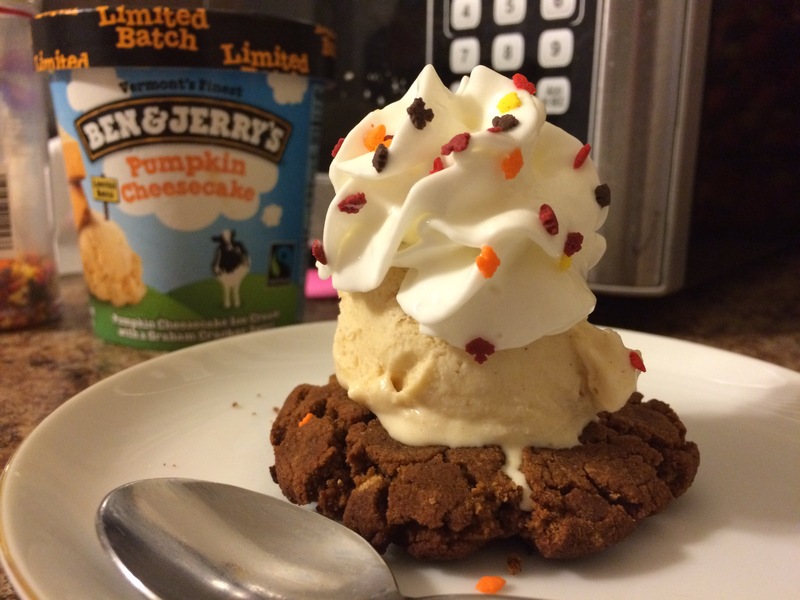 All of Sarah’s cookies are simple to make and this one is no different. I also believe her cookies are more cakey than your standard cookie because of the ingredients, so keep that in mind and don’t get paranoid about the dough. JP actually pointed out how cakey it was and that when he saw the cracks from baking he thought it would be crunchy. 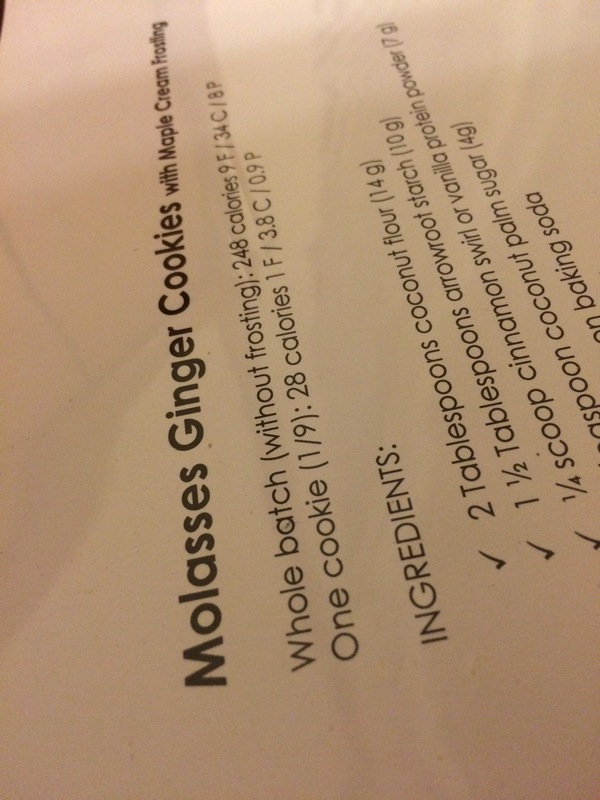 I want to know who the hell likes a crunchy molasses cookie? Exactly. Not me. Keeping up with tradition, I made 2 large cookies. I went back to following weight of ingredients on the recipe rather than volume. I think the last recipe following volume impacted the dough. Base protein powder was snickerdoodle. 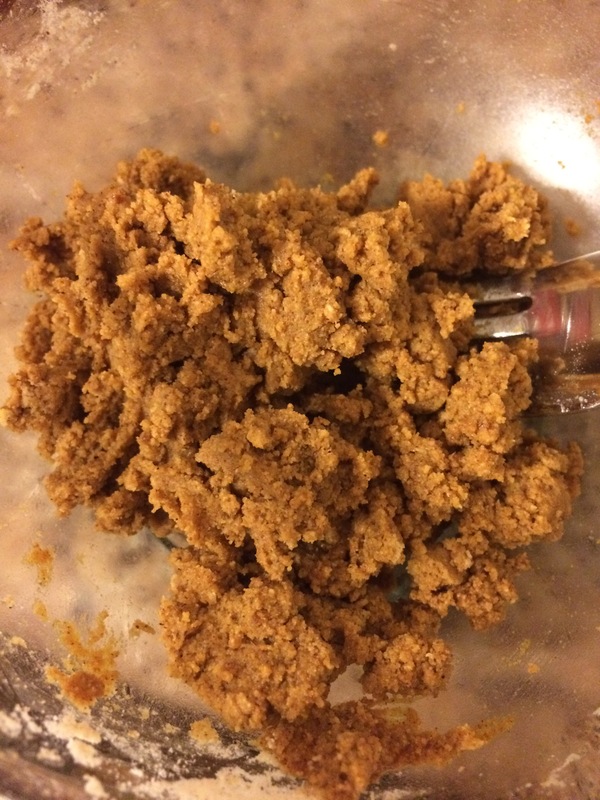 Like most of the recipes, having a sweet basic protein like vanilla or cinnamon is very helpful and can easily be masked by the flavors in the cookie rather than stick out and hinder the cookie. I used water instead of apple sauce just because of what I had on hand, but it also cut out a few carbs, not a lot, but still something. You will need to shape the dough, but unlike some of the beginning recipes it doesn’t stick to your hands. I did push the cookies down to flatten them prior to baking to make sure that they were a thickness that would bake fully, but also a thickness I want for a cookie.